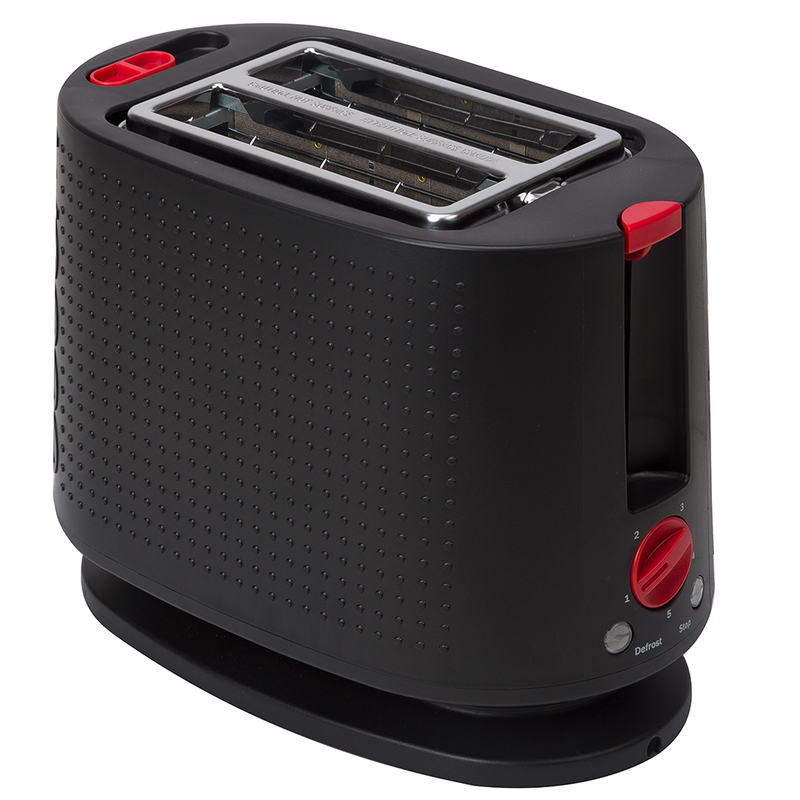 Achieving perfect, golden-brown slices of bread is a cinch with Bodum’s Bistro Electric Toaster. With its sleek and textured exterior, this two-slice toaster is equipped with five different browning levels and an additional defrost option so you can cater your toast to your needs. There’s a special metal rack that emerges from the top of the toaster, allowing you to gently heat up bagels and croissants. Crafted from rubber, stainless steel, metal, silicone and durable materials. Control level with high-rise option. Small warming rack for bagels and croissants. Easy cord storage along the base. Dimensions: 26.5cm (l) x 21.5cm (h) x 15cm (w).